How much does the Complete Training System cost? Unlimited access for one trainer to the entire Complete Training System with unlimited clients is only $49.95/month...and there are NO additional fees or costs. You can add up to 5 additional trainers to your account for just $19.95/month. Do my clients need to pay anything? We don't charge your clients anything. You have the option to charge your clients for this extra service. The Complete Training System quickly becomes a source of additonal revenue for you. Many personal trainers charge their clients a fee (typically $29.95 - $49.95/month) for nutritional programs. You also have the ability to charge for online training for clients that you may not see in person, but it is up to you what, if anything you want to charge. The Complete Training System will also save you time and effort and allow you to work more efficiently. I thought personal trainers weren't able to offer nutritional services? Providing basic nutritional information based on the MyPyramid or Canada Food Guide is generally considered within the scope of practice of a personal trainer. The Complete Training System will allow your clients to build a custom nutritional plan based on their food preferences. 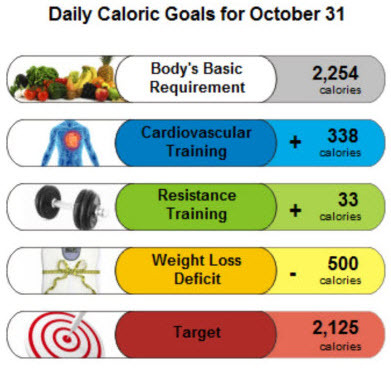 The Complete Training System offers suggestions based on these food preferences and helping your clients to balance their calorie, macro, and micro nutrient intake. There are no specific recommendations or requirements for food or supplements which keeps it within the generally accepted scope of practice. Can I try the Complete Training System before I purchase it? Absolutely! You can try The Complete Training System risk free without paying anything. Are there any contracts I have to sign or cancellation fees I have to pay? There are NO contracts and NO cancellation fees. You can cancel at any time during the trial period and not be charged. You will be able to set up the system immediately after signing up. Can I use my own logo, slogan, and branding? The Complete Training System is fully white-labelled. You have the choice of using our brand or creating your own. Plus you can make the changes yourself quickly and easily. Does this work on a Mac or PC or Smartphone? The Complete Training System is fully web based so all you need is a web browser. Will this work with my existing web site? The Complete Training System is a stand-alone app that is customizable with your logo and slogan information. While you won't have your own domain name, the system is designed so that you and your clients can login to the app directly from an existing website. It is a seamless transition, and from the client's perspective, the software looks like part of your website. If I want to charge my clients for this extra service, how do you bill them? We don't collect any client payments, they would be paying you directly by whatever method you choose. How many exercises are in the database? Can I add some or customize them? We currently have over 500 exercises, and you can add any amount of your own custom exercises as you like. How many foods are in the nutritional/food database? Can I add my own foods and recipes? There are over 16,000 food items and 1,500 recipes in our database, and you can add any number of individual foods or recipes. Would communications with my clients be sent directly to my e-mail or would I have to log on to the website? You can have emails go directly to your email address if you complete the 'Custom Email' section of the system. This then allows you to create custom email templates in the system but have them sent from your own email address, and clients can then 'reply' directly to your email address. Does your system handle liability waivers for clients? We have both a User Agreement, with a liability waiver in it, plus a PAR-Q (Physical Activity Readiness Form) that clients must complete. Do You Have a Question We Didn't Think Of? For all Product and Technical questions, submit your question to our tech support team. For Ordering and Billing questions, submit your questions to our accounts team.